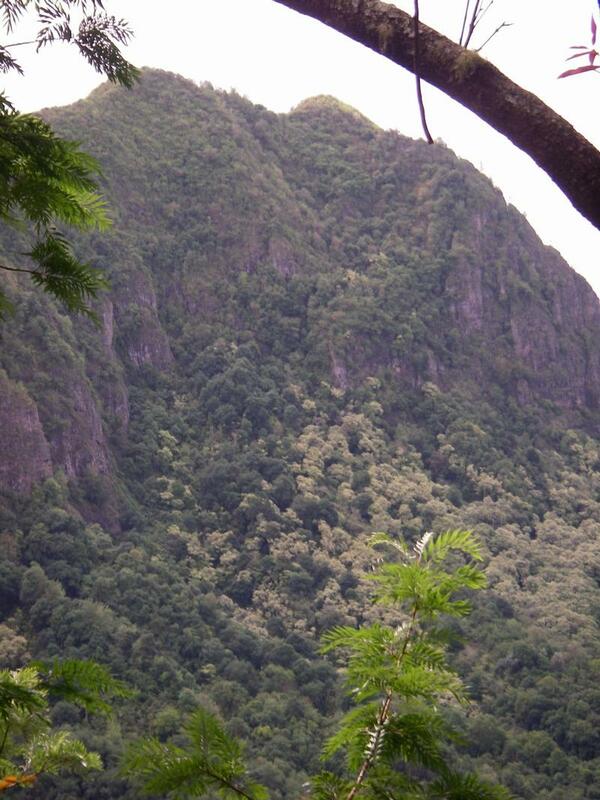 Last Wednesday Danny and I tried to reach the summit of the Wai`anae Mountains by climbing a ridge w/two names. Hikers call it Hobb's Ridge, and the hunters call it Snake Ridge. There is another story about that hike on the main page. While we were high on Hobb's I was looking south along the "Wai`anae Pali" and spotted what I though was a very narrow valley the some how "breached" the pali and might offer another path to the summit. Here is a picture of what I saw. When I showed it to Danny he agreed that it could be a way up. We decided to come back today to try our luck. This is that story.